One of the ways often suggested for how to begin any worldbuilding project is to start with a solid map. Even the simplest of cartography efforts can help a creator to organize thoughts and develop relationships between the various ideas competing for space in what will become a game world. It's also not unreasonable for beginning GMs (or more experienced GMs pressed for time) to snag a map from some other source and repurpose it for their own homebrew. 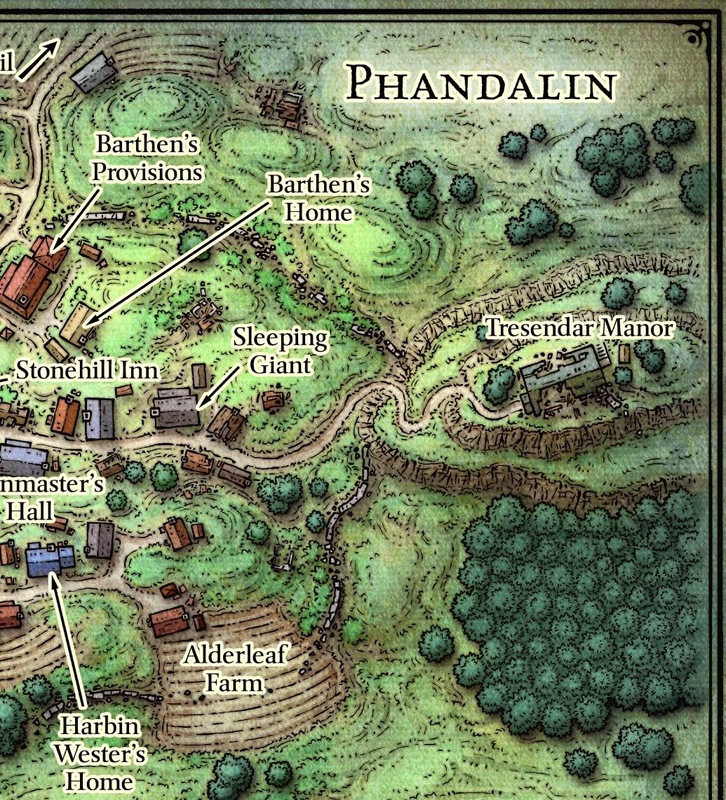 One such map, meant to get the creative juices of 5E D&D Starter Set GMs flowing, might be the Map of Phandalin (detail below), as shared on the Wizards of the Coast website here!